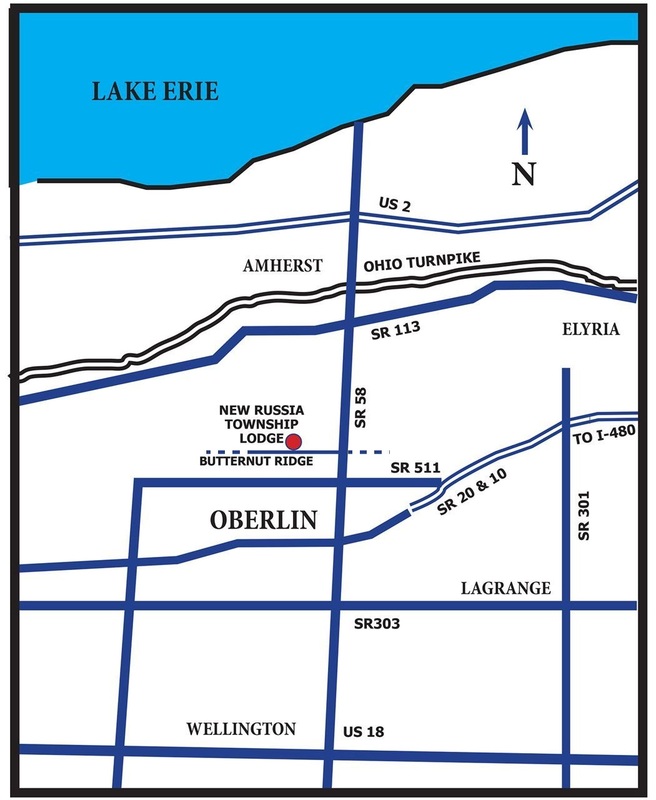 The Dog Days Wine Tour invitational starts and ends at The Lodge of New Russia Township,, less than a mile north of town of Oberlin, in Lorain County, Ohio..
See the area map below. 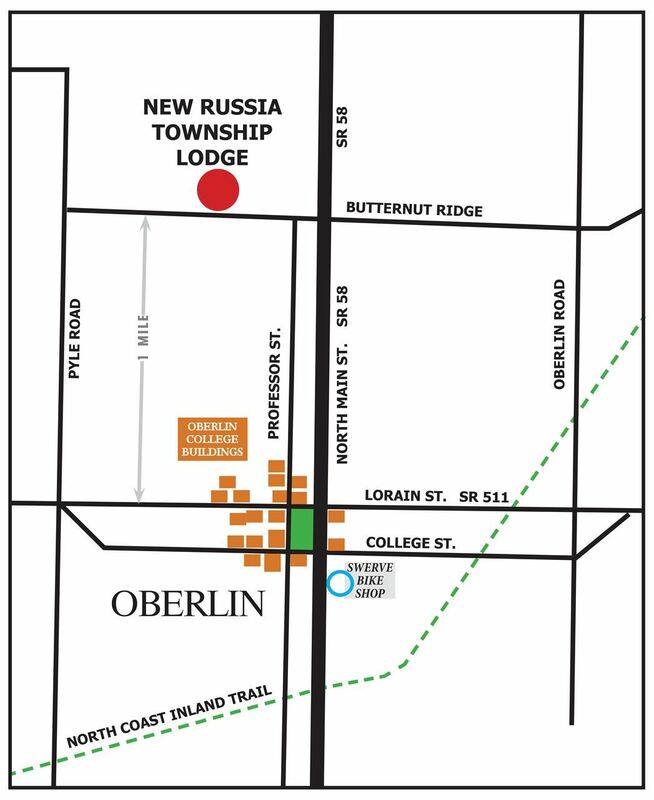 Mountain Biking Available: Findley State Park also features an excellent mountain bike trail (8 miles) that has some good technical portions to it. Extend your stay in our area and spend a day on the trail too. The park also features swimming in the lake, hiking, canoe rentals and fishing.